FHA Mortgage Loans: Who Do They Help? When it comes to finding financing for a new home, the options can be incredibly overwhelming. You’ll need to figure out which type of loan best suits your financial and property needs, and you’ll also need to shop around to find a lender who offers the best rates. Even for those who have been through the home buying process a handful of times already, it can be a lot to handle — so first-time buyers, don’t worry about how overwhelmed you feel! One of the most often mentioned loan options for first-time buyers in particular are FHA mortgage loans. 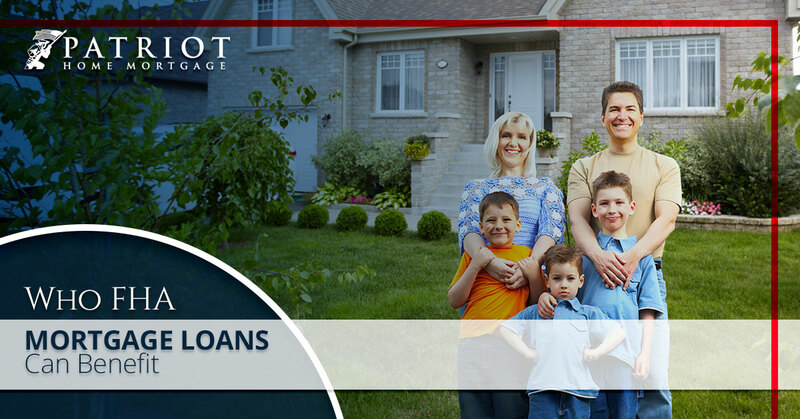 However, this loan isn’t just for people buying property for the first time. And, we should also clarify that it’s not actually a loan, even though that’s how it’s usually referred to. Regardless, if you’re in the market for a new home, FHA guidelines may make this the perfect solution. As we mentioned, the FHA loan isn’t actually a loan. Instead, it’s like an insurance policy that works with any approved home loan option. The FHA loan is mortgage insurance offered through the Federal Housing Administration which allows borrowers who meet a few basic requirements to qualify for a conventional mortgage with fewer limitations. The FHA loan qualifications and benefits are why this option is often pushed toward first-time buyers. With an FHA mortgage loan’s benefits, borrowers can get a loan with as low as 3.5 percent down and a credit score as low as 580. They also accept borrowers with lower credit scores, but they may need to pay more than 3.5 percent down. More importantly, gifted down payments are allowed under FHA mortgage loans, to the extent that the whole down payment can be made up of gifted money. That’s not the case with any other loan option except the VA home loan, which many aren’t eligible for. Basically, FHA mortgage loans work like private mortgage insurance. It provides a guarantee to the lender that they will still be paid in the event that the borrower can’t pay. In exchange, the borrower makes either monthly payments or pays a one-time fee to help defray those costs. FHA mortgage loans are guaranteed by the Federal Housing Administration, so they guarantee the loan, and your mortgage insurance payments would go to them. This insurance means that those with lower credit and a small down payment can get approval for a loan when they otherwise might not be able to find a lender to approve them. As we mentioned, this is a great option for first-time buyers. Largely, this is because of the combination of low credit score requirements, low down payment requirements, and the lack of restriction on gift money being used for down payments. Many first-time buyers are younger, so they don’t have the established credit necessary to qualify for a conventional loan. Also, younger first-time buyers tend to have a smaller down payment, so being able to use gift money can make a huge difference. The FHA 203(k) loan allows buyers to purchase a run-down or older home and fix it up without needing a full savings account to pay for the cost of the renovations. The FHA 203(k) allows the borrower to include the cost of materials, contractors, pulling permits, and other expenses in the cost of the loan. The FHA also offers a loan specifically for those who want to be more eco-friendly in their living situation. The FHA Energy Efficient Mortgage allows you to include expenses to make your home more energy efficient — like a tankless water heater, improved insulation, solar panels, and so on — into the total amount of the mortgage. If you want to go green but your savings says, “No,” an FHA Energy Efficient Mortgage can help you make that happen. The FHA also offers an option for seniors who own their homes outright or only have a small amount of their mortgage left. If you’re 62 or older and want to be able to use some of the built-up equity in your home, the FHA Reverse Mortgage can help you do that. This is a loan that capitalizes on the value you’ve built up over years of owning your home, so you can enjoy that value now, before you sell your home. Want to learn more about the array of benefits for FHA mortgage loans? The Patriot Home Mortgage team is here to help. Connect with us today to see if the FHA loan is right for you!